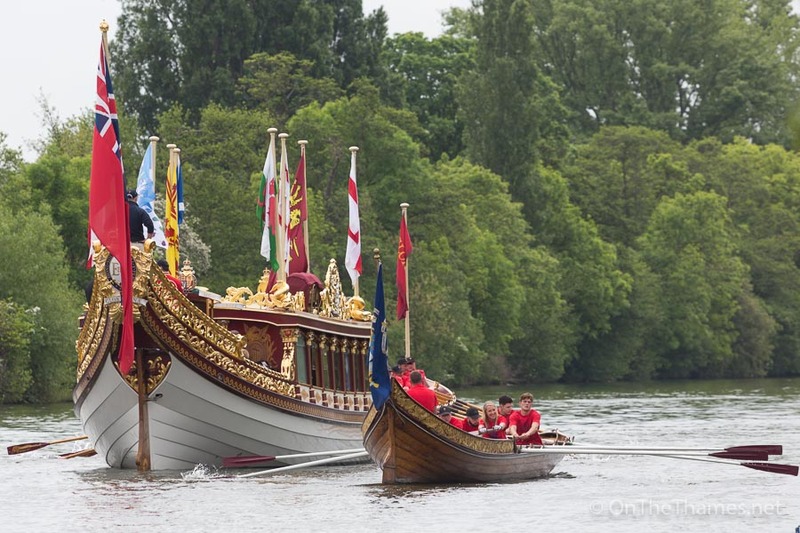 THE QUEEN'S Row Barge Gloriana has again taken part in the traditional Tudor Pull from Hampton Court Palace to the Tower of London. 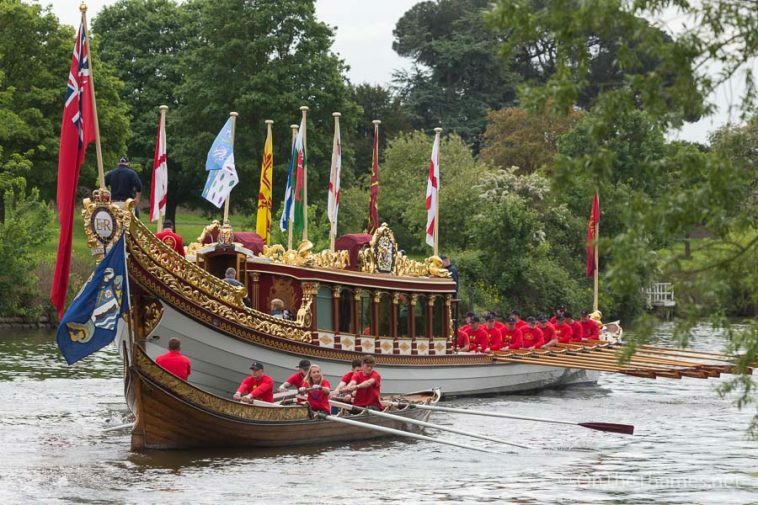 The colourful annual event sees a flotilla of traditional craft rowed between the two historic riverside locations. 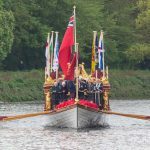 A 'stela' was handed over to the custody of Her Majesty's Bargemaster at Hampton Court and carried down the river by Gloriana with a crew of Watermen, arriving almost seven hours later. 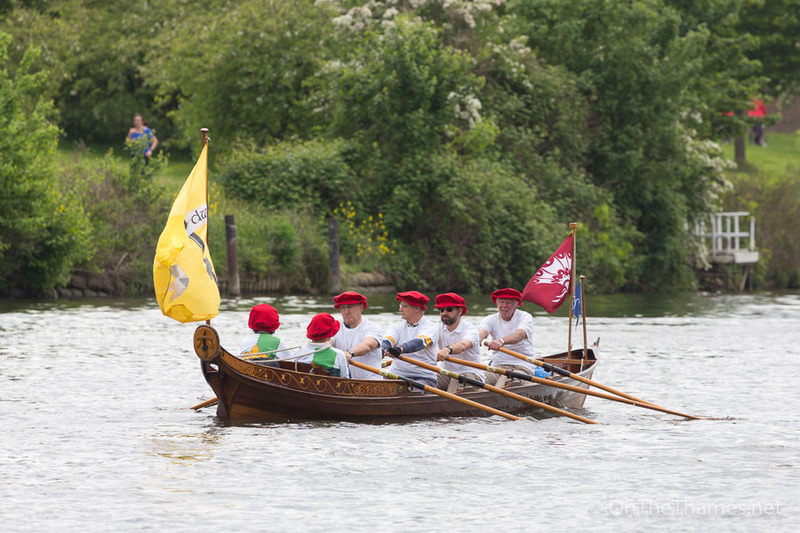 Organised by the Thames Traditional Rowing Association (TTRA), the collection of traditional craft including Watermen's Shallop Lady Mayoress made for a spectacular sight on the river. 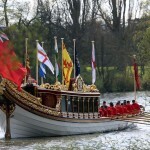 Gloriana departs from Hampton Court Palace. 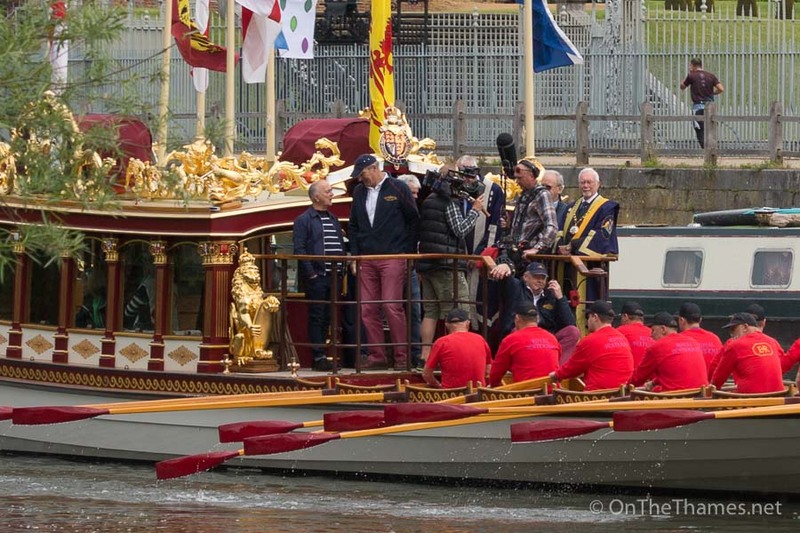 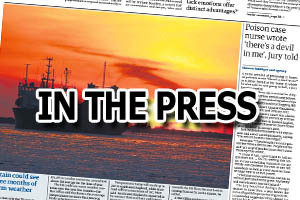 Broadcaster Tony Robinson was on board Gloriana with a TV crew. 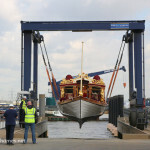 Waterman's shallop Lady Mayoress pictured alongside QRB Gloriana. 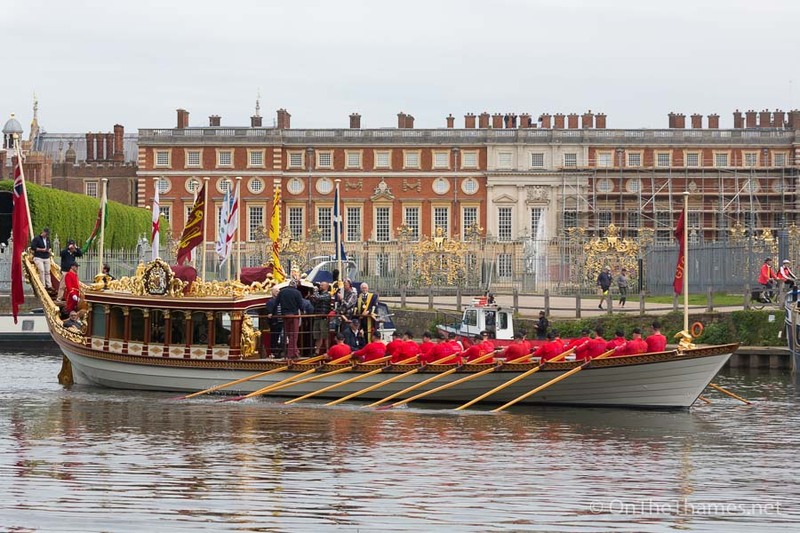 The flotilla set off from Hampton Court Palace at about 10.45. 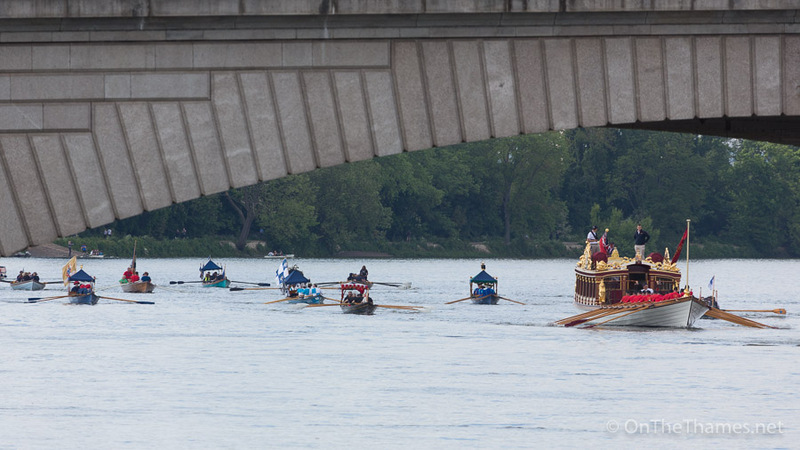 Dozens of rowers were on accompanying traditional craft. 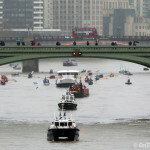 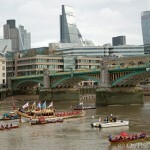 The flotilla pictured approaching Putney Bridge with Gloriana's colourful flags temporarily lowered for safe transit. 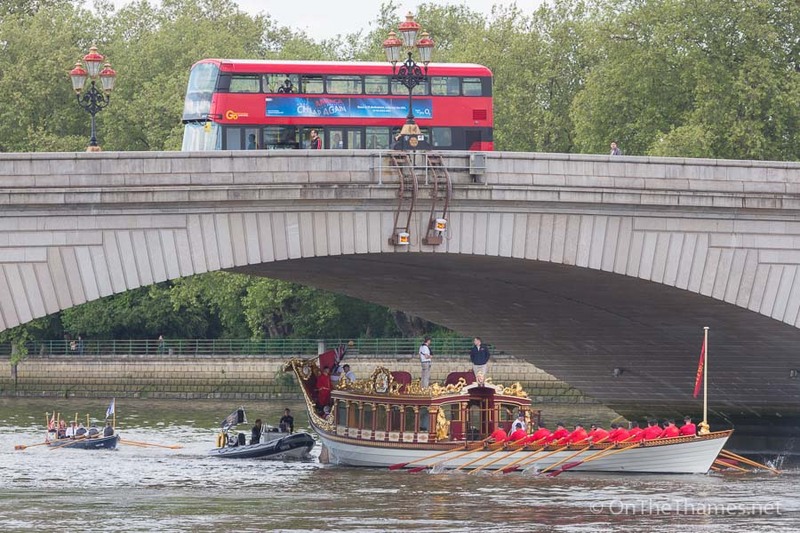 A London bus crosses over the bridge as Gloriana quietly passes below.